How many hands/hour per Zoom table? How many tables can I play? 250 hands per hour per table. Players have reported being able to grind 1000 hands per hour 4-tabling without a loss of pace. That’s over triple the hands/hr of regular tables. You can play eight Zoom tables. Each Zoom table counts for three regular tables, so the PokerStars 24 table cap stays the same. 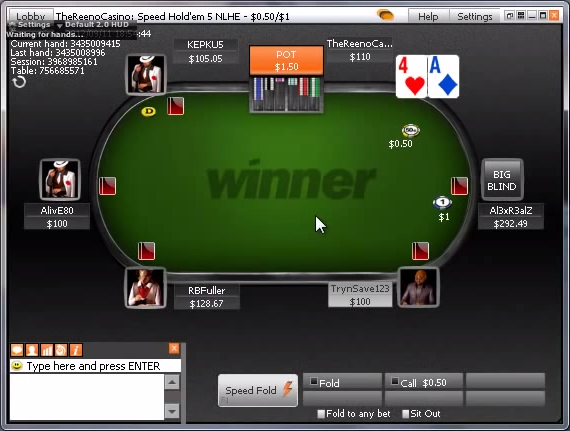 Players are restricted to four entries per Zoom pool (e.g. 25NL FR) to prevent game slowdown, but can play in several pools. PokerStars allows players that demonstrate consistent high-speed to have their table cap raised higher. 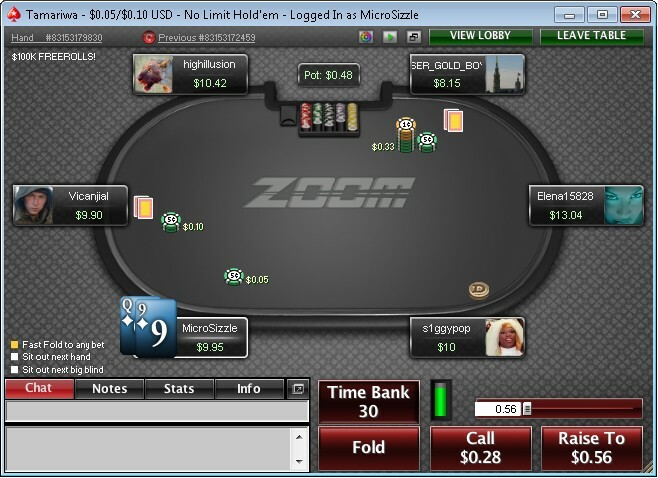 How much rakeback can I earn playing Zoom? Zoom plays tight (low Plrs/Flop %), and as a consequence VPP/hand drops compared to regular tables. However, the faster pace makes up for this. Your rakeback hourly depends on your playing style due to the weighted-contributed rake method (looser players earn more RB), but below are some approximate figures for 6-max NL. With VIP Program rewards, a continuing (year 2+) Supernova, four-tabling Zoom $0.50/$1, earns about $20/hour in rakeback alone, before profit at the tables. A breakeven Supernova Elite can make 3x – 4x that. How many hands/hour per Rush Poker table? How many tables can I play? Depending on time and game Rush Poker player can expect to see anywhere from 125 hands to over 300 hands per hour. You may have up to 4 entries in the same Rush Poker pool making the total hands anywhere from 500 to 1,200 per hour. 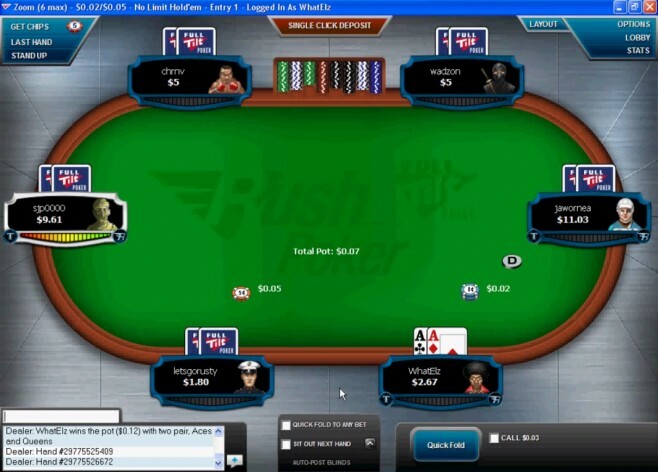 How much rakeback can I earn playing Rush Poker? Like Rush, Adrenaline players can expect to see anywhere from 200 – 300+ hands per hour. Once again you may have up to 4 entries in the same Adrenaline Rush Poker pool. How many hands/hour per Fast Poker table? How many tables can I play? This isn’t displayed in the lobby, however Relax Gaming states 250 hands/hr can be played. Fast Poker can be played via browser and limited to 1 table, or through a downloadable software with max 9 table limitation and 4 entries allowed per prize pool. How much rakeback can I earn playing Fast Poker? 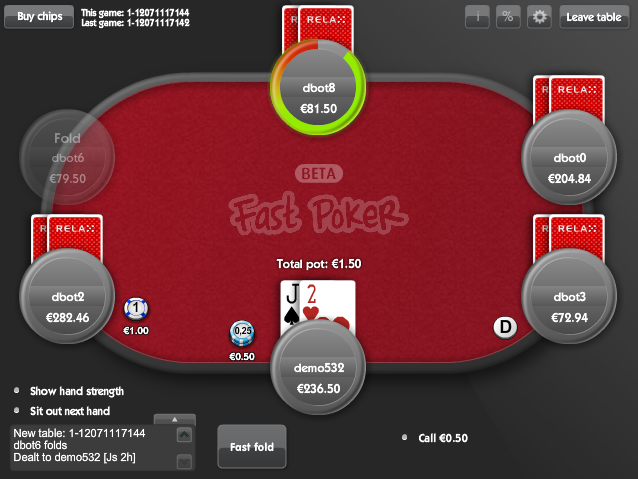 Relax Gaming’s Fast Poker is an independent platform that advertises via several Ongame and Microgaming rooms. Despite the association Fast Poker does not share the same playerpool, nor rakeback/VIP systems. In fact, Fast Poker currently does not award any rakeback or VIP points to players. However, the network offers rolling bonuses equivalent to 30% cashback for high volume players. Rake at Fast Poker tables is generated 4x faster than on regular tables, making each bonus easy to clear. The Ongame network is also home to a high number of recreational players. How many hands/hour per Blaze table? How many tables can I play? The H/hr display in the lobby is currently capped at 120+, however it is possible to play up to 300 hands per hour at each Blaze table, according to Microgaming. The network’s main skin claims Blaze is the fastest game client in the industry – we hope to see higher stakes being offered soon and a more detailed lobby. There are no restrictions on the number of entries or total Blaze tables, up to the normal 20 table cap on Microgaming rooms. Blaze Poker also includes anonymous tables. How much rakeback can I earn playing Blaze? 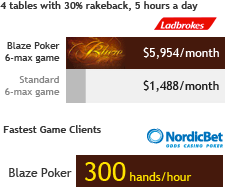 Microgaming’s figures show a 400% increase in rakeback by playing Blaze. This would tie in with the ~300 hands/hour figure being 4x the dealing speed at a regular 6-max table (70-80 hands/hr). It should be noted however that Microgaming rake is considerably higher in bb/100 than industry leader PokerStars’. High rakeback does not compensate for the effect high rake has on your winrate. One advantage Microgaming has over PokerStars is looser games with a higher percentage of recreational players. Their presence is profitable and goes some way to accounting for a high bb/100 rake. * The network plans to add Pot Limit Omaha, and higher stakes up to $5/$10. How many hands/hour per Fast Forward table? How many tables can I play? The PartyPoker and WPT Poker lobbies sometimes display the total H/hr dealt per pool, and sometimes by table – these tend to be in the 200 hands/hour range, however your mileage may vary. 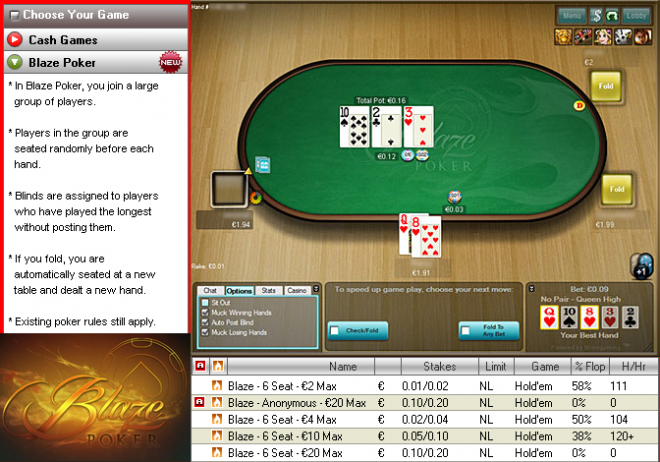 Players can join a total of 4 FastForward Poker tables, within one pool or across several. How much rakeback can I earn playing FastForward Poker? Players should expect to earn PartyPoints around 2-3 times faster than on regular tables. Reaching VIP levels, earning enough points to purchase Points Store bonuses, and then meeting clearing requirements, can all be achieved earlier. Palladium VIP status pace (~$50/day) or Palladium Elite pace (~$220/day) being easier targets make it more realistic to aim for the top tier of rewards. Palladium VIPs earn 30% rakeback from $3,000 bonuses purchased for 20,000 Points, and approximately 10% in addition from monthly promotions, reload bonuses and random bonuses. Palladium Elite VIPs can purchase 50% rakeback equivalent bonuses, and by dominating leaderboard-based subpromos can earn cashback approaching the 70% level, from our experience – check out our PartyPoker Reg’s Guide for more info on this. Update – at the end of March 2013 Party sadly removed the Palladium Elite tier, capping rewards at 30% before promotions, which also lowered in value. How many hands/hour per Speed Poker table? How many tables can I play? iPoker is currently reporting anywhere from 120-160 hands per hour per entry. Players can grind up to 10 tables in one pool making the total of hands 1,200-1,600 per hour. How much rakeback can I earn playing Speed Poker? Rakeback.com now offers 70% iPoker rakeback at Winner Poker.